Recently a client wanted to know how to add a ConvertKit Optin form to a WordPress post in multiple locations. When I showed her, she was surprised at how easy and quick it was! 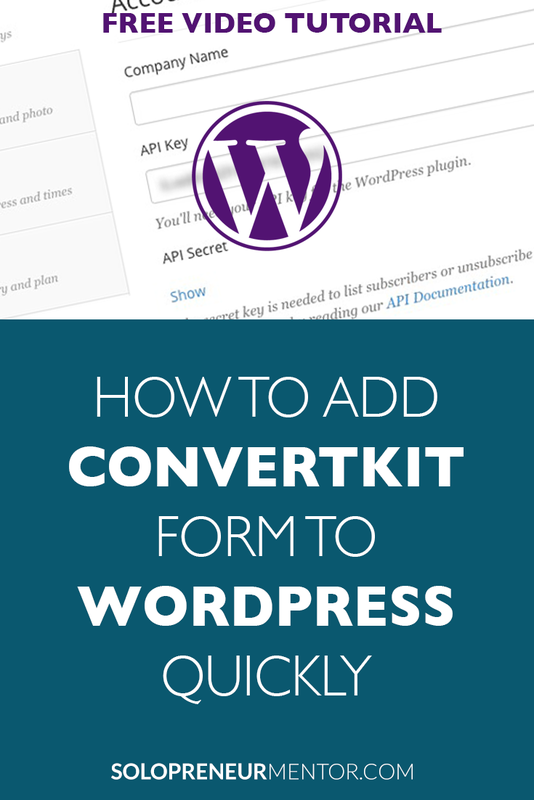 In this video tutorial, I will show you how to install a ConvertKit WordPress plugin and how to connect ConvertKit to WordPress via an API key. Next, I will show you how to copy and paste a shortcode that you can use in any WordPress post or page that will pull in the form automatically. This video assumes you have a ConvertKit account already. If you do not have one, please check out ConvertKit. What is API and how do I use API keys?